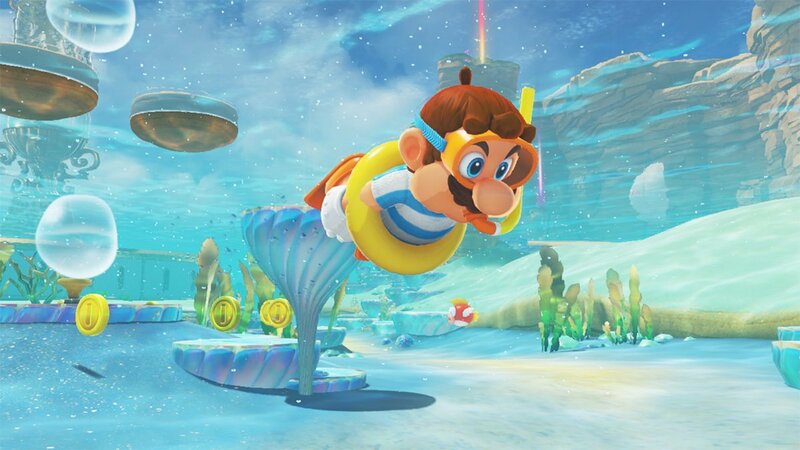 Super Mario Odyssey is a single and multiplayer 3D platform adventure developed and published by Nintendo. This game released on October 27th, 2017 for the Nintendo Switch. The story starts off with Mario vs Bowser on Bowser’s airship with Mario attempting to stop Bowser from kidnapping Peach to force her to marry him. Bowser successfully knocks Mario off his airship and Mario ends up falling into the Cap Kingdom, where he meets Cappy, a hat-like creature that helps Mario along the way to save Princess Peach and stop Bowser’s wedding plans. 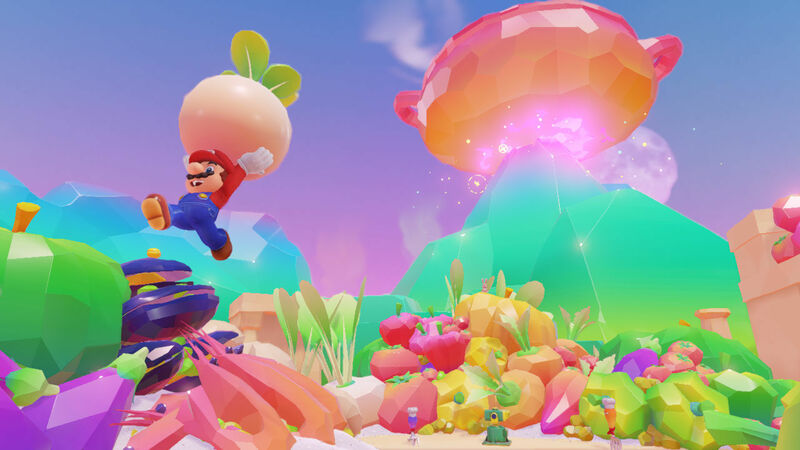 Super Mario Odyssey is super colorful with many new sights to see and tons of surprises to find. Throughout the game in each level or ‘Kingdom’, you have to find a certain number of Power Moons to fuel up your Odyssey, the airship you ride around in to travel throughout the game. There are also the main objectives and mini-bosses to fight in each level and if you want, you can also complete the level to 100% to find more Power Moons, coins, and secrets. 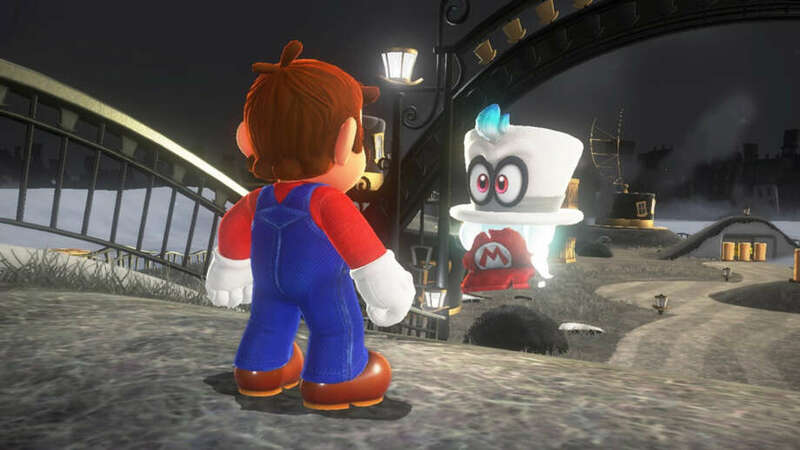 Throughout the game, Mario uses his hat or “Cappy” as a throwing attack, but the cool thing is that you can throw your hat at enemies or objects to possess and control them to help you along your journey. There are plenty of open worlds to explore with lots of hidden secrets and fun puzzles in each area, including a really creative “Luncheon Kingdom”, which is a lava level with lots of different foods and ingredients. Also, the more coins you find throughout the game, the more cool outfits you can wear and souvenirs you can get to decorate your Odyssey to show all the places you’ve been to in the game and you buy those items at the Crazy Cap Store. You can use the Joy-Cons undocked, as the game suggests for better gameplay, which is actually a lot better than any other controller. If you’re not able to use the Joy-Cons detached, you can use the other controllers as well, it’s your preference. 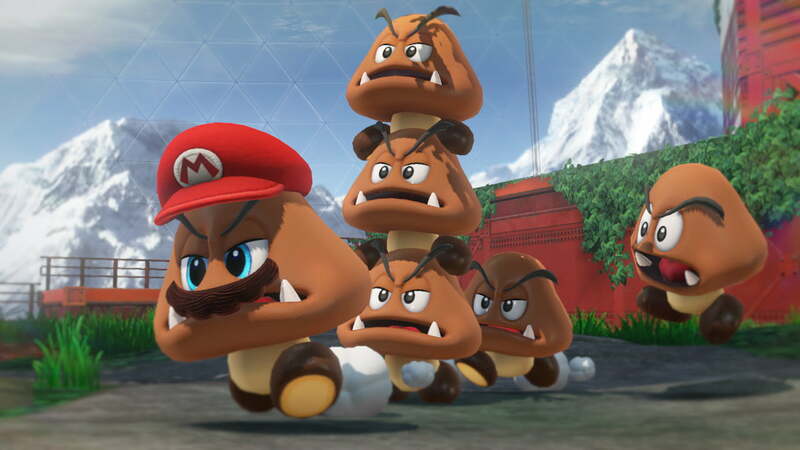 In multiplayer mode, you use one set of undocked Joy-Cons and Player 1 will control Mario while Player 2 controls Cappy. What I love about this game is that there is an ‘Assist Mode’, which is more geared towards younger players or those that want to fully enjoy the game at a slower pace. I loved this game overall. It’s gorgeous, colorful, and just fun in general. I loved every second of this game and it was challenging, to say the least, especially trying to complete each Kingdom with 100%. I loved the 8-bit Super Mario parts of the game since I’m old school. It brought some good nostalgia into the game. My little cousins enjoyed this game as well and they’re obsessed with it. That ‘Assist Mode’ helped them finish their first video game.